This is a beautiful story that was shared on facebook by Chandni Shridhar as a message but i felt i must share it here to all because this has great relevance to what Babaji taught us in "The Theory of Karma". This story simply illustrates in a very simple way how everything functions perfectly, though we perceive things in our lives and all around as chaos and suffering. "Blessing in disguise" is what we have heard all our lives but never wanting to experience or live it due to impatience in not allowing nature to take it's natural course but we wanting to make everything go our way. 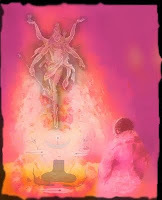 Again, the opportunity comes here to put the three major teachings of Babaji in one breath at the end of this story. Namah Shivaya! 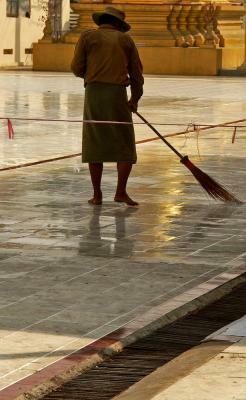 Once there was a sweeper in a temple and he was very sincere and devoted. Every time he saw thousands of devotees coming to worship the Lord, he thought that the Lord is standing all the time and giving help and He must be feeling very tired. So one day very innocently he asked the Lord whether he can take the place of the Lord for a day so that the Lord can have some relief and rest. 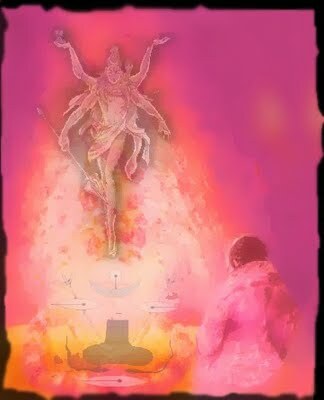 The Deity of the Temple replied, "I do not mind taking a break. I will transform you like Myself, but you must do one thing. You must just stand here like Me, smile at everyone and just give benedictions. Do not interfere with anything and do not say anything. Remember you are the deity and you just have faith that I have a master plan for everything." The sweeper agreed to this. Just then a poor man came and he put one coin in the Bowl and said that it was all he could afford and he prayed to the Lord that he should continue to be engaged in the Lord's service. He also said that his family was in dire need of some basic needs but he left it to the good hands of the Lord to give some solution. When he opened his eyes, he saw the wallet left by the rich man. The poor man thanked the Lord for His kindness and took the wallet very innocently. The sweeper in the form of the Deity could not say anything and he had to just keep smiling. At that point a sailor walked in. He prayed for his safe journey as he was going on a long trip. Just then the rich man came with the police and said that somebody has stolen his wallet and seeing the sailor there, he asked the police to arrest him thinking that he might have taken it. Now the sweeper in the form of Deity wanted to say that the sailor is not the thief but he could not say so and he became greatly frustrated. The sailor looked at the Lord and asked why he, an innocent person, is being punished. The rich man looked at the Lord and thanked Him for finding the thief. The sweeper in the deity form could no more tolerate it, and he thought that even if the real Lord had been here, he would have definitely interfered, and hence he started speaking and said that the sailor is not the thief but it was the poor man who took away the wallet. The rich man was very thankful as was the sailor. The Lord became very upset on hearing this whereas the sweeper thought the Lord would appreciate him for the good deed done. The Lord asked, "Why did you not just stick to the plan? You had no faith in Me. Do you think that I do not understand the hearts of all those who come here? All the donations which the rich man gave was all stolen money and it is only a fraction of what he really has and he wants Me to reciprocate unlimitedly. 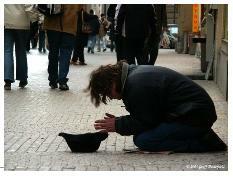 The single coin offered by the poor man was the last coin he had and he gave it to Me out of faith. The sailor might not have done anything wrong, but if the sailor were to go in the ship that night he was about to die because of bad weather and instead if he is arrested he would be in the jail and he would have been saved from a greater calamity. 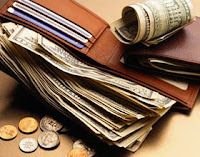 The wallet should go to the poor man because he will use it in My service. I was going to reduce the rich man's karma also by doing this and save the sailor also. But you cancelled everything because you thought you know My plan and you made your own plans." God has plans and justice for everyone....we just have to have patience!!!! Absolutely, We should pray more and trust him more. Even though this is a story, if take few moments to look the flow of our life and relate all the experiences with a drishta bahv we will find that nothing was correct or incorrect rather it is for our benefit and benefit of the whole. Hence babaji says nishkaam seva as it equalizes the things out in a pleasant way.